Comment: I have a 1958 house with original windows. Our utility bill is outrageous. We have 9 windows total to replace. Comment: I would like to get an estimate for repairing the hardware on a window. All Weather Security Products, Inc.
Richard P. Clark Custom Builders, Inc.
Arlington Window Replacement Companies are rated 4.56 out of 5 based on 300 reviews of 12 pros. 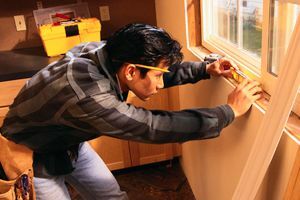 Not Looking for Windows Contractors in Arlington, TN?